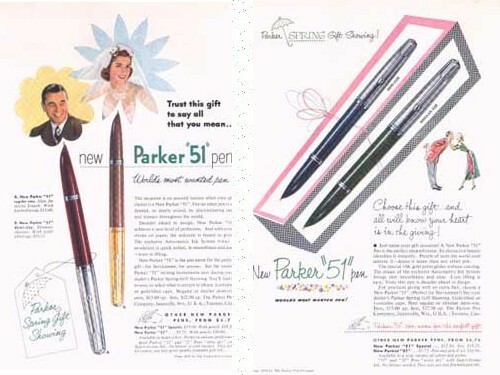 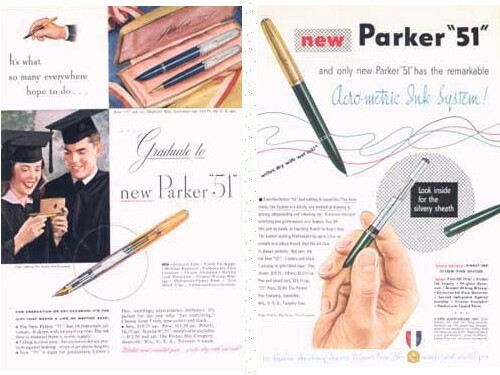 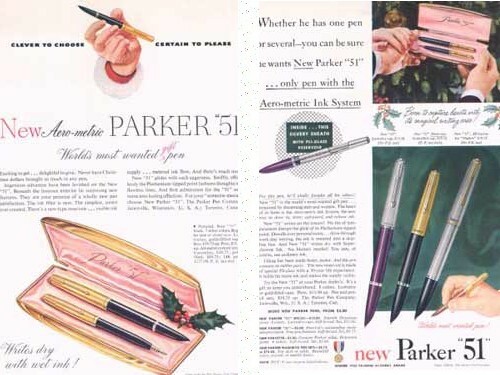 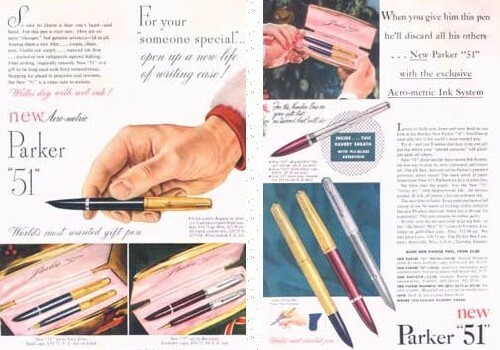 Here is a sampling of some Parker “51” ads. 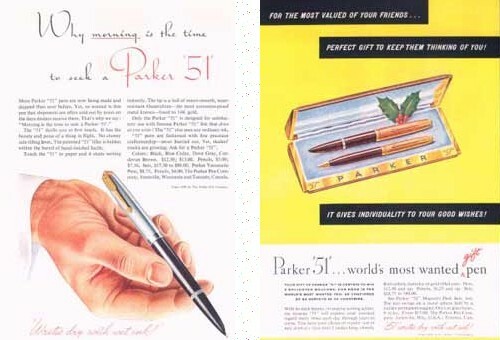 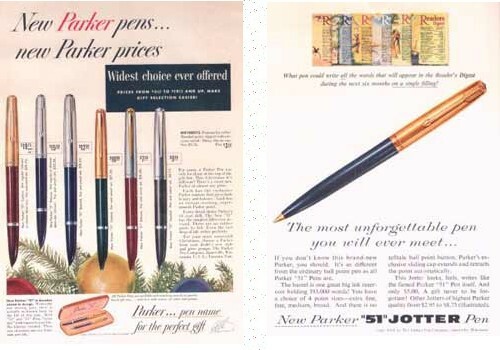 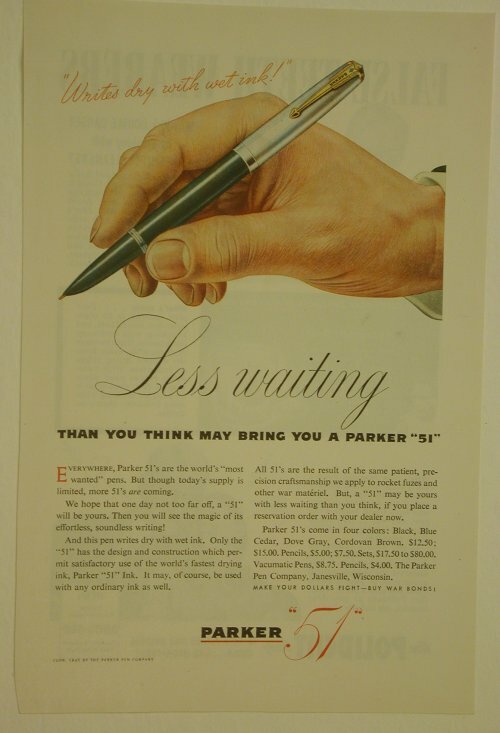 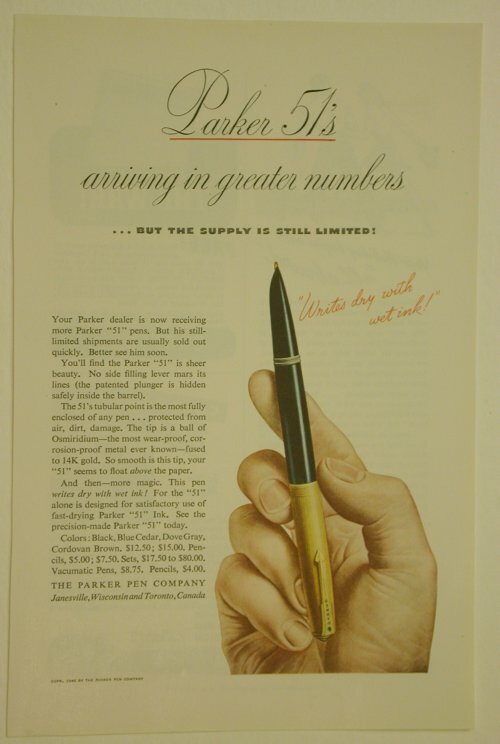 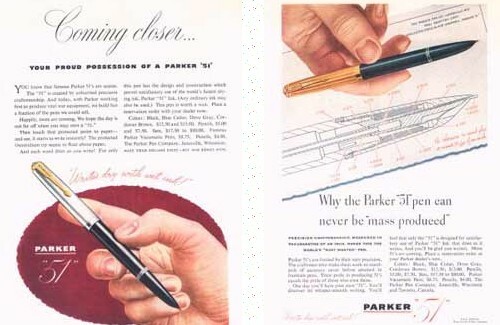 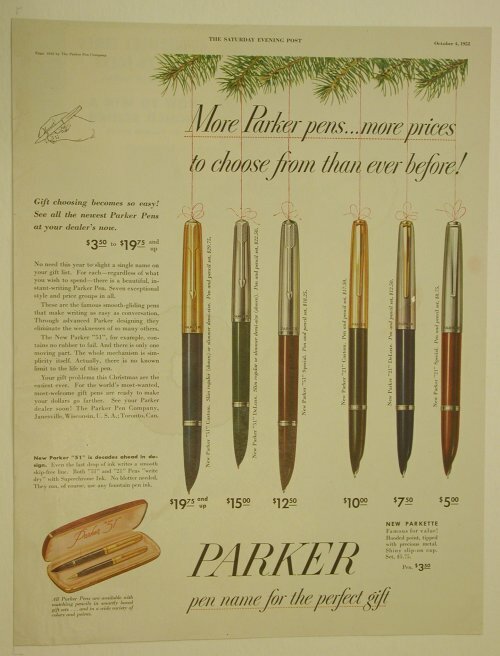 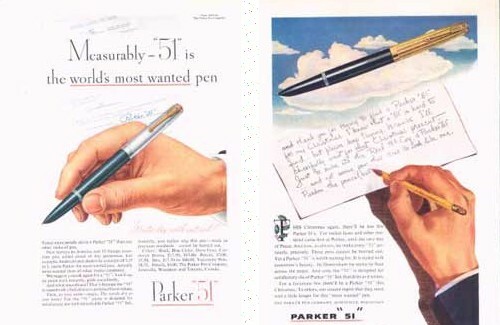 I currently have over 150 different, original Parker “51” ads and counting. 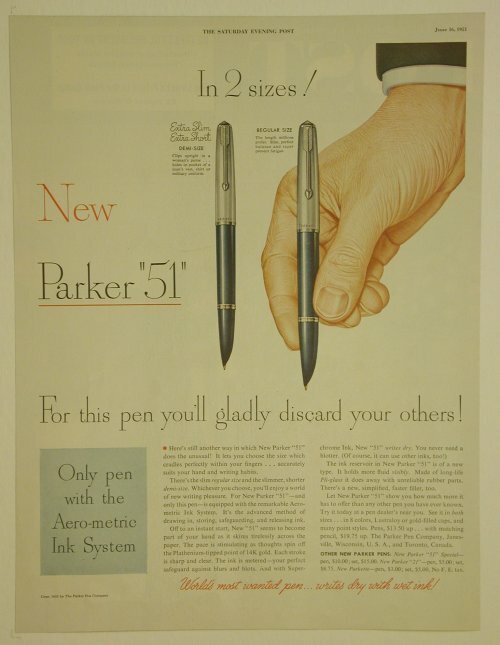 The earliest version I have seen is from late 1941, with the latest version dating to 1965. 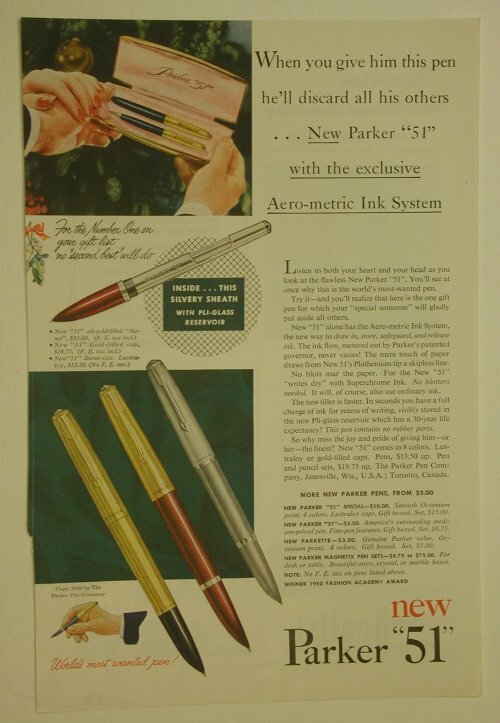 As I can complete more quality scans, I will ad to this page.